How about mixing 2 classic fabrics in one look? Leather and denim is my new: "go for them" and there's a common thread that unifies them: Silver leather sandals! yes even more leather but the look is not that tight as is sounds, it is actually relaxed and a bit undone. Cool “futuristic” shoes and classy pants, I like this outfit a lot! Very classic look. I love the pants an purse. Also, very edgy shoes. Stunning look…the silver sandals are great! This look is entirely perfect, and I LOVE that bag! Such a cute look! Loving those trousers!! So agreeing to Daniella. 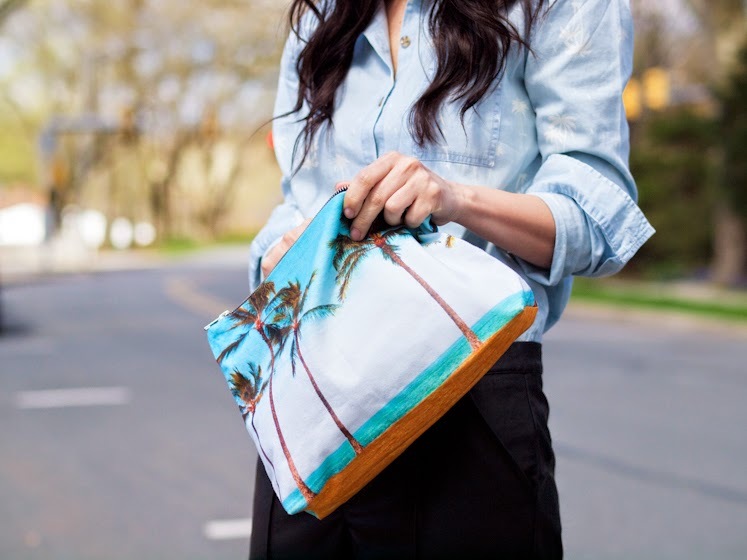 The clutch is such a summer gem and makes the perfect match for the shirt and sandals! Fabulous accessories to style a classic look. I really love this mix.